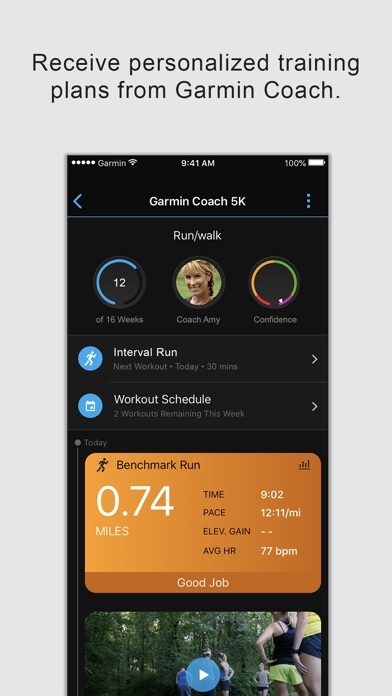 Garmin Connect™ is your one-stop source for health and fitness data. Whether you’re training for a race or tracking steps, it provides the information and inspiration you need to beat yesterday. Once paired with a compatible(1) Garmin device, activity tracking is just the beginning of what Garmin Connect™ can do for you. 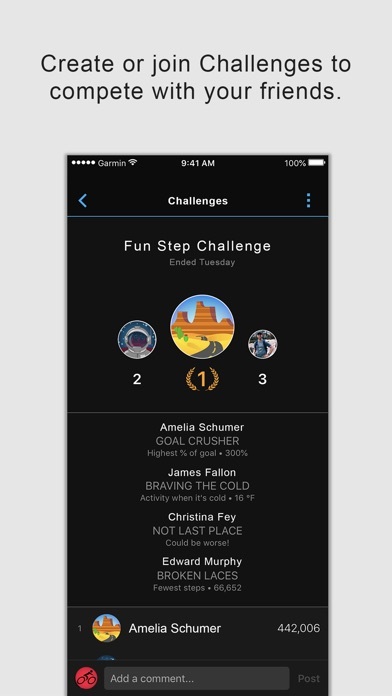 You can create new workouts, build courses and even challenge your friends to compete, all within the app. 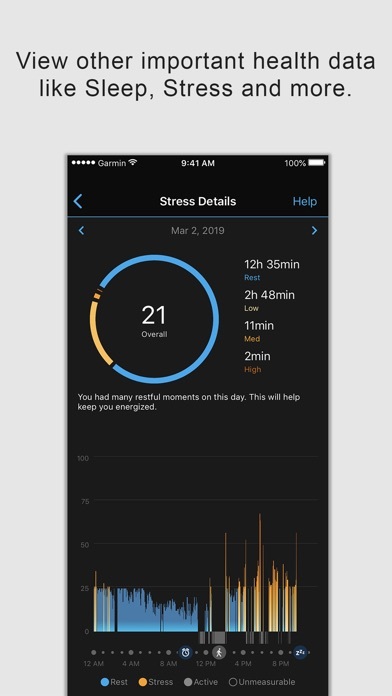 Garmin Connect™ is packed with useful features, including the ability to: -	View today’s health data in vivid detail on your personalized My Day page. -	Analyze your activities and their related statistics. (2) -	Create customized workouts and courses. 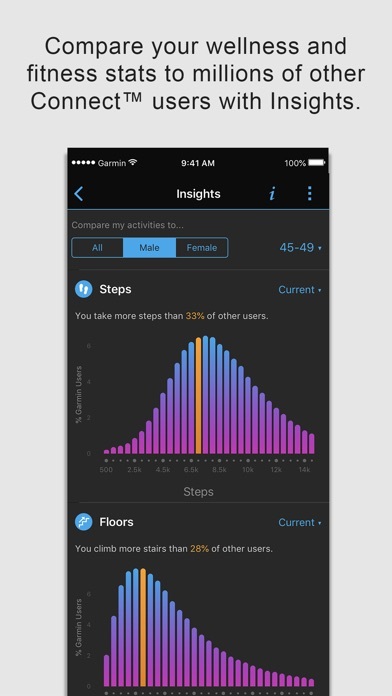 -	Sync with other apps like Apple Health, MyFitnessPal and Strava. 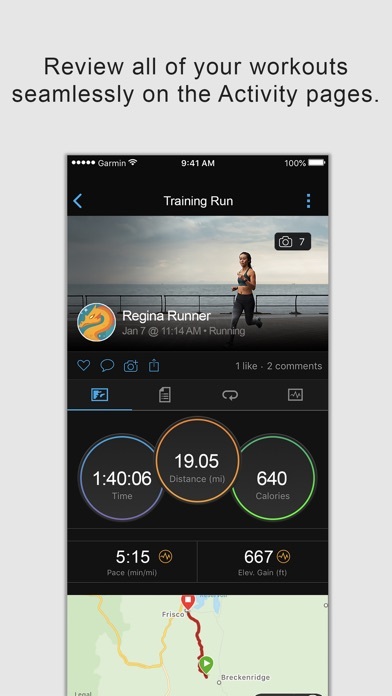 -	Review personal records for steps, distance and pace. 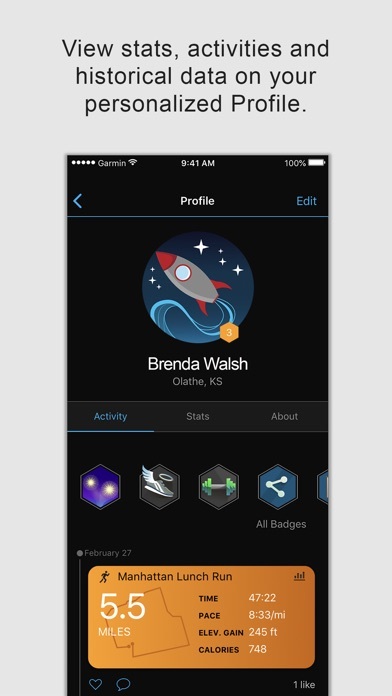 -	Earn badges for accomplishments. -	See how you measure up to other Connect users with Insights. 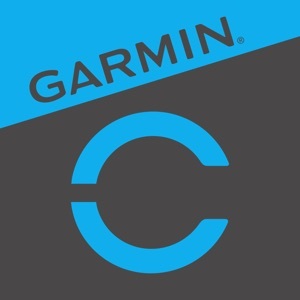 -	Get support for Garmin devices and their features. Are you ready to join millions of users who walk, run, bike, hike and strive to beat yesterday? 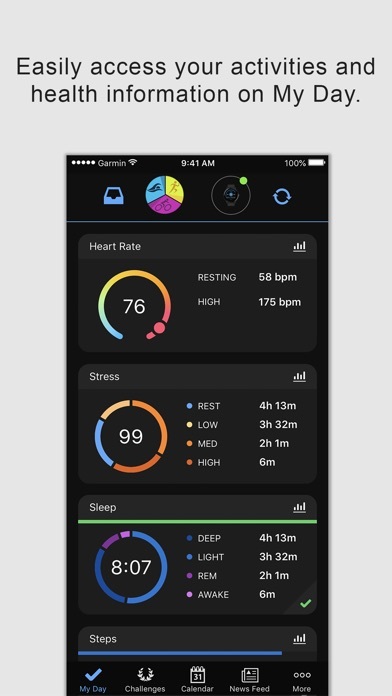 Learn more about Garmin devices and how they work with the Garmin Connect™ app at Garmin.com. (1)	See compatible devices at Garmin.com/BLE (2)	Activity tracking accuracy: Garmin.com/en-US/legal/atdisclaimer Note: Continued use of GPS running in the background can dramatically decrease battery life.